The Bruno Waterproof Italian Leather Diver series continues with the Master Diver strap. 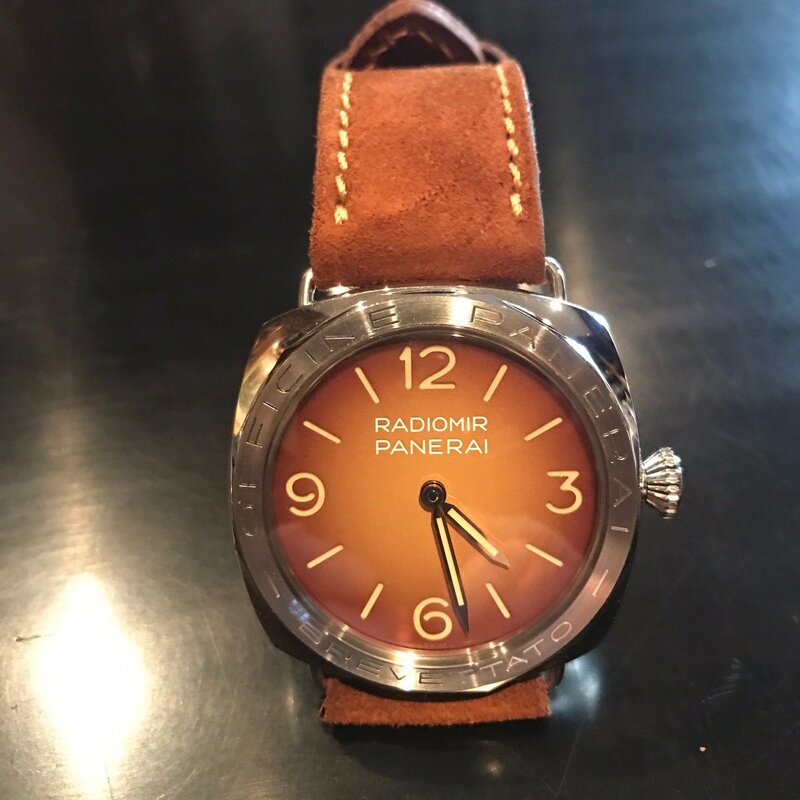 The burnished and bruised dune colored Bruno leather will compliment Historical Panerai models and will of course transform any Submersible model into a field-tested Master Diver`s Instrument. Hand-burnished Italian Bruno leather with contrast brown stitch and three keepers for added robustness, all secured by an hand-engraved,individual issue numbered vintage brass buckle. Waterproof – soft – tough – versatile – The latest classic Divers strap from our Limited Edition Bruno Allegrini Diver Series.